The flame flickered before it went out. This was bad news. No more matches and it was pitch black. What to do? Without the flame I couldn’t find anything. Without a match I couldn’t light the flame. Hours until dawn. Still, dark and silent. In that noisy way silence has when it is dark. I didn’t even have a torch. Not that it would have made much difference if I did have a torch. No electricity. No electricity means no internet. EEK!! Can you imagine life without the internet? I can’t. 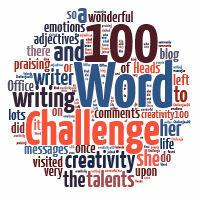 No 100 word challenge for one thing!!! Once, when I was in Tesco’s, I bought an enormous bag of apples. 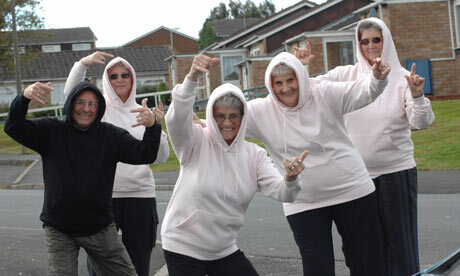 The label on the bag said ‘Empire Apples’. However, when I got home, I found that I had bought a bag full of YELLOW apples! 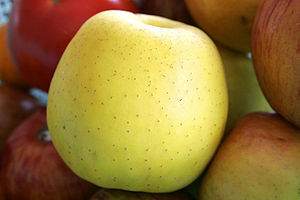 Empire apples are not yellow, in fact they are rather small, quite crisp, green in colour and sharp to taste. These apples were yellow, with a pappy sort of texture and sweet in flavour. ‘This is a Golden Delicious apple!’ I thought to myself. ‘How dare they try to fob me off like this! I know my apples! !’ What a blooming liberty!!! *UPDATE* Thank you so much for all your advice and suggestions on here and via Twitter. Thanks to Notquiteold, I’ve finally managed to link to the post here! Anyway, the word is RUBY. Here goes…..
Our first cat was called Santa. She was a female tabby but we got her at Christmas so Santa (Claws) she was. Then came Pickle, a bruiser of a tom who used to look at me with contempt. Our third cat was called Ruby. A dear little thing, the runt of the litter and a gorgeous little tortoiseshell with huge eyes. She would curl up in my cowl neck jumper, resting on my chest, purring happily. She didn’t really ever grow, she was tiny. She only survived two years, she was not really meant for this world.